Cathedrals across Australia are growing, Australian Anglican Deans report, but need to focus their mission activities to reach children and young people. Twenty Cathedral Deans from across Australia met at the recently-refurbished St Paul’s Cathedral in Bendigo, Victoria, at the invitation of Dean John Roundhill. In their discussions on mission and evangelism among children and young people they were joined by the Revd John Deane, executive director of the Anglican Board of Mission. 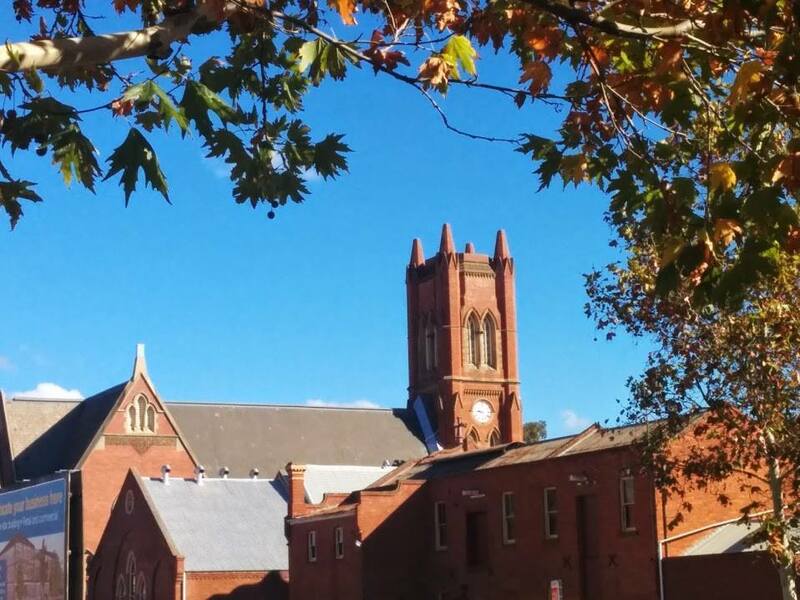 Many of the Cathedrals across Australia report growth in congregational attendance countering a nation-wide trend, in which the number of Australians identifying as Anglicans has plummeted. The Dean of Melbourne, the Very Revd Dr Andreas Loewe, said: ‘Cathedrals in Australia are growing in spite of nationwide trends. Here in Melbourne we have experienced a 30% growth in congregational attendance over the past five years. Our Cathedrals are places that naturally draw people in, to begin conversations about faith and discipleship’. Dean Loewe reflected: ‘At St Paul’s many of our worshippers first came through our doors as visitors. Our intentional program of making visitors welcome, and explaining our faith through the beauty of our building, provides the first invitation to come and find out more about Jesus Christ, and what it means to follow him’. The Australian Deans welcomed Dean Matthias Der from St John’s Cathedral Hong Kong to their conference. St John’s has a structured families’ program that reaches some 150 young people each Sunday. Dean Der explained: ‘We have a structured children’s program that reaches toddlers, pre-schoolers, primary school children and a junior church for children aged between 8-12. Our programs are delivered in English and Chinese and centre on teaching children and young people about the Bible, our worship, and Christian living’. Asked about the reason for the strong attendance, Dean Der said: ‘We intentionally resource a group of volunteers to run our program and to support parents in nurturing children in their own homes in their faith journey’. The Australian Deans affirmed that in order for children’s ministry to flourish, strict safeguarding procedures would need to be adopted across Australia. Some Cathedrals have employed safeguarding officers to ensure compliance. The Deans were encouraged that General Synod will be considering adopting nationwide child-safe standards, compliance and professional standards protocols. Dean-elect of Newcastle, the Revd Canon Katherine Bowyer, said: ‘It is so important that Cathedrals and parish churches are safe places for vulnerable people and children. But we not only need to be safe places but need to be seen to be safe places by the wider community’. Canon Bowyer said: ‘We call all Anglicans and especially our General Synod to express clearly that we have heard and learnt from survivors, their families, and the Royal Commission. We are serious about child safety’. The conference brought together Deans from across Australia: 20 of 23 Deans were able to be present. Senior Dean, the Very Revd Dr Peter Catt, said: ‘The Deans’ Conference is a rich, life-giving and collaborative experience. We enjoy a deep commonality in the midst of our theological diversity. The level of support and encouragement that we experience at the conferences means that attendance is always high. This year we enjoyed the presence of two women Deans and a woman Dean-elect for the first time in the history of the Australian church’. Deans next meet at St Andrew’s Cathedral Sydney, at the invitation of Dean Kanishka Raffel, from 2-7 August 2018. Wominjeka: St Paul’s Cathedral stands on the traditional lands of the Kulin Nation. We pay our respects to elders past and present, and affirm our commitment to the work of reconciliation.